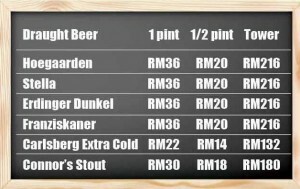 The range of Draught Beers can be very limited in Malaysia, but happily there are more choices at the bar in recent years. 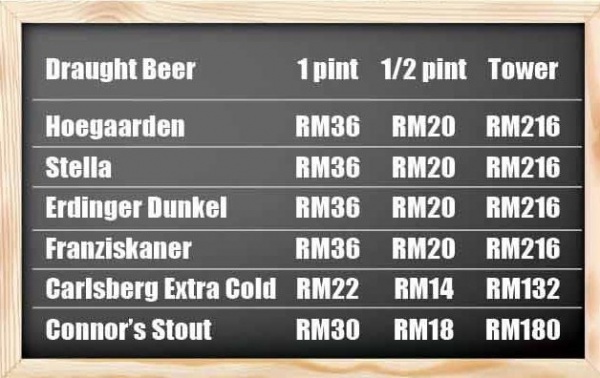 To all my drunken mates and blog followers, I finally found the best Happy Hour deal for Hoegaarden, Stella, Erdinger Dunkel, Franziskaner, Carlberg Extra Cold and Connor’s Stout in Klang Valley. 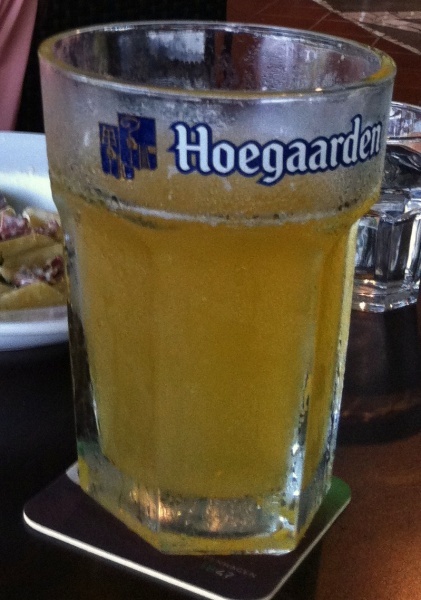 The deal: Buy 1 Free 1 (before 7pm) and Free ½ (before 10pm) @ Friendscino Restaurant & Bar in Damasara Perdana. 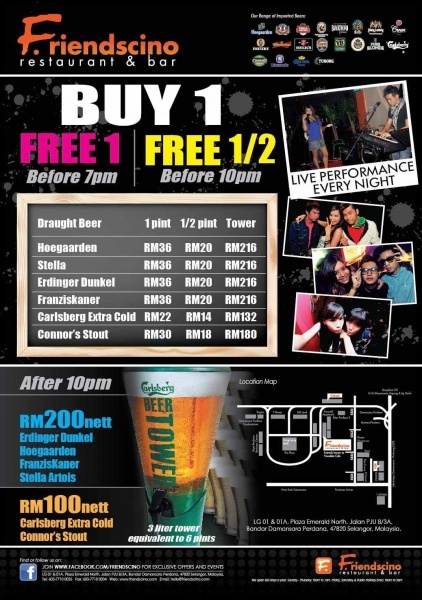 I have no idea when the promotions will be end and I have never been there, but I found the similar flyers in my postal box [refer to the poster below]. 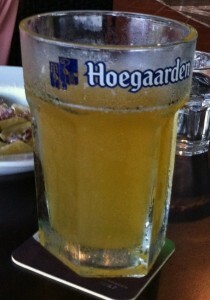 Most likely, I will check out the environment to have a couple of pints and keep you all posted soon. I hope this place is not too dodgy.